Both fraud and accusations of fraud can sink an Illinois business. If you believe you’ve been the victim of deceptive business practices, or if you are being accused of fraudulent acts, it is critical that you have seasoned legal representation with a business fraud attorney to safeguard your interests during a fraud case. Dvorak Law Offices, LLC. has over 19 years of experience in defending clients in state & federal court. What constitutes business fraud in Illinois? A legal claim for business fraud requires a plaintiff to prove that the accused made a misrepresentation of a material fact, done for the purpose of gaining agreement to the terms of a contract, and that the misrepresentation harms the deceived party. The misrepresented fact could be on the subject of the financial projections for an investment, the condition of a property for sale, the intention of the party to make full payment for a service, or any other subject significant enough to cause someone to enter into a contract with the fraudster. The lie must also be either intentional or made when the accused has good reason to know that the statement isn’t true. What are common forms of business fraud? With our vast experience in white collar defense, Dvorak Law Offices, LLC. will make an excellent choice to represent you in your business fraud case claim. Our thorough investigation of the facts, use of seasoned financial experts, and attention to detail will provide you with the assurance that your rights will be protected during your business fraud claim. 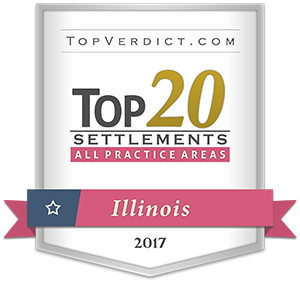 We have 2 locations in Chicagoland to better serve you!